​ malachite, azurite. 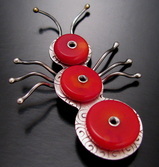 2-1/2" x 2-3/4"
Sterling silver, 24k gold, red coral. pendant and garnet s-link chain. 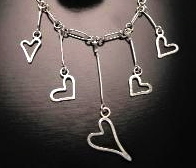 Stamped circle inside cage heart: "eternal rhythm of love"
pendant. Carved bone head, orthoceras fossil. 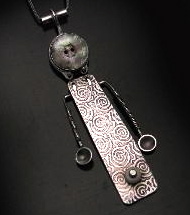 Sterling silver penant with antique mother of pearl button and bone bead. 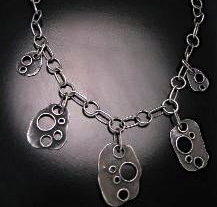 Handcrafted oxidized sterling silver chain with crater hole dangles. 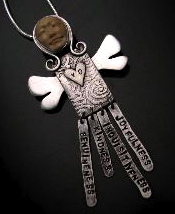 One of a kind handcrafted sterling silver pendant. Carved moonstone face, fossilized coral. 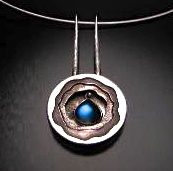 One of a kind handcrafted sterling silver pendant with rainbow moonstone. 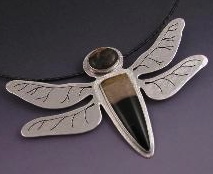 Handcrafted sterling silver pendant with agate wing on a woven chain. Handcarved bone face, serpentine chest, dendritic opal legs, arms hold to turquoise worlds. Sterling silver, mexican opal matrix, palm tree agate. Mammoth tusk face, boulder opal. Sterling silver, agate, mexican opal matrix. Handcrafted in sterling silver and 24K gold Keum-boo. Handcrafted in sterling silver, red coral, 18k ball in sun. 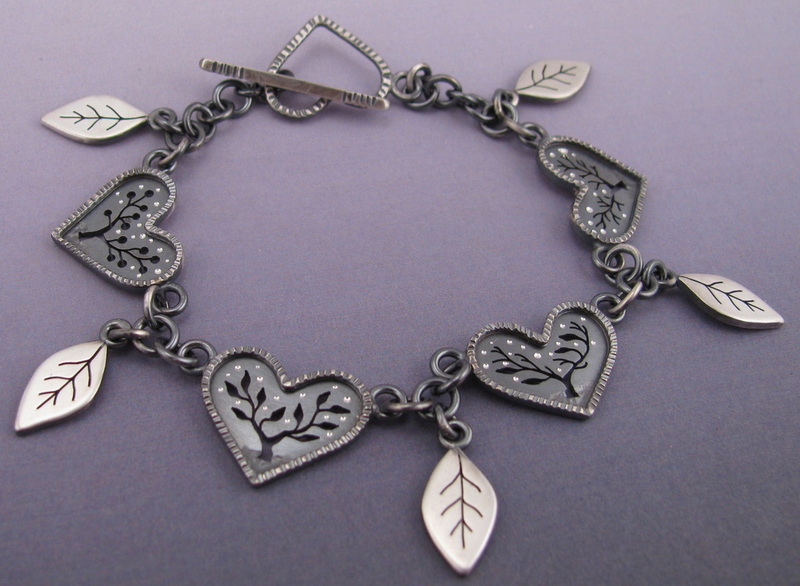 Hand fabricated chain. 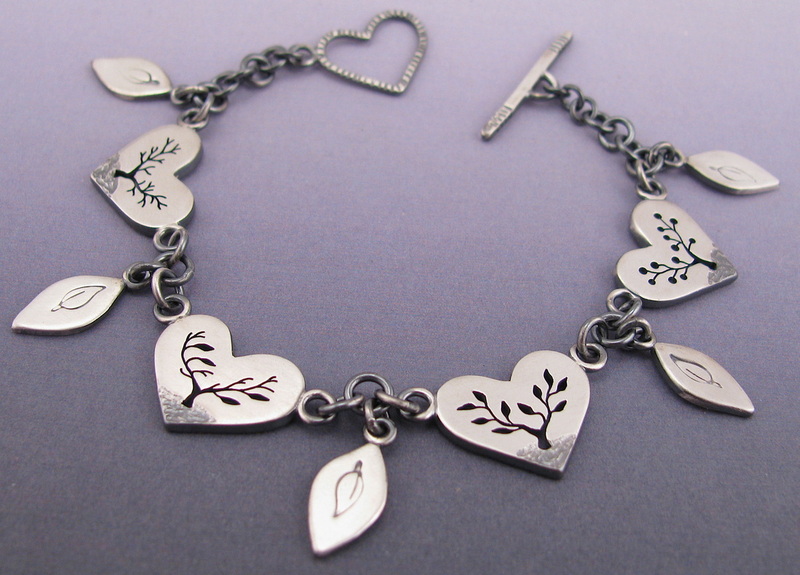 Seasons bracelet with day on one side and night on the other. Winter, spring, summer and fall. 7".